© C&L Supply Rentals. All rights reserved. For almost a century, forestry and timber processing has been a major part of the west coast economy. Back in the early 1960’s a couple men, known as Fedje and Gunnarson, were known falling contractors in the industry. They found that they were spending a significant amount of money on new chainsaws and gear, in order to be productive. Because of this, they created a business entity to provide their principle operation with chainsaws and related falling product. This was a great way to keep costs at a minimal and continue to put lumber on the ground. As time went on, an idea became present to these two men. They decided that it may be profitable to supply other contractors with the same gear that they were purchasing. This lead to expansion into the retail industry. The retail business carried on for a little while, however the boys encountered challenges. It became apparent that collecting unpaid accounts to be quite challenging. This book keeping nightmare became overwhelming, so in 1965, Fedje and Gunnarson chose to sell the company to three gentlemen. The purchasers were known as Ed Taylor, Pete Petersen, and Chuck Wilkinson. At that very moment “Contracting and Logging” Supply was born! While under the new ownership of Ed, Pete, and Chuck; all the unpaid accounts were collected. They operated a successful dealership for many years, while continuing to sell chainsaws and complimentary products associated with the falling industry. In 1967, a man by the name of Jim Semkiw arrived in Campbell River. A truck driving job is what influenced this life decision. Prior to that, Jim made a living as an ironworker in Prince George, BC. The falling industry became very attractive to Jim, so he switched careers and launched J&M Contracting. Jim became very good at his craft, and was once known as a top end contractor. He was well known for his productivity and became a popular employer for other fallers. During this era, Jim was knocking down timber with chainsaws such as the Stihl 070 and 090. He purchased much of his gear at C&L Supply, and became very familiar with that operation. He knew the staff well, and was often there demanding high end service, which is exactly what he received. As Jim aged, compounded with several serious falling injuries, it became apparent that he needed to start a new career. In 1988 a tremendous business opportunity was presented to Jim. The shop where he spent many dollars on chainsaws and parts had become available to purchase, and Jim seized the opportunity. It was an incredibly steep learning curve at first. It is very different switching from a job in the woods to serving the public. Jim had tremendous support from Pete’s son “Terry”, and this helped Jim battle through the initial hurdles, leading to a very successful career. Jim Semkiw is notoriously known for being a “hard working” man. He never shy’d away from any task, and always used theories like “never step over a job” and “always pick up every penny you see”. He passed on many strong qualities to his son, Rodney, who grew up around C&L. On Jim’s 70th birthday, he chose to hang em up. At that moment, he handed the keys to Rodney, and remained as a silent director. Jim was able to keep his thumb on the pulse of the company, provide support and knowledge, and allow Rodney to learn how to manage. As the fiscal year end of 2017 concluded, Rodney approached Jim and purchased the company outright. 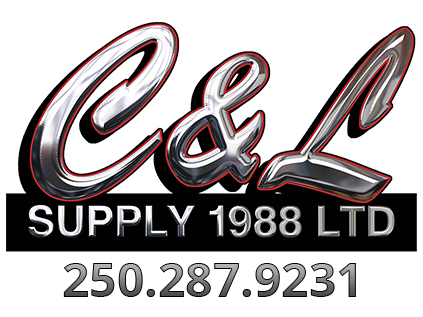 Rodney has a tremendous amount of respect for the history of C&L Supply, and all past, present, and future clientele supporting the company. The company has always been known for its interpersonal experience and ethical business practice. Rodney hopes to sustain this vision indefinitely, while installing growth to better serve the community!